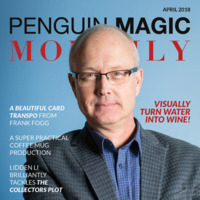 Today, when you order "Penguin Magic Monthly: April 2018", you'll instantly be emailed a Penguin Magic gift certificate. You can spend it on anything you like at Penguin, just like cash. Just complete your order as normal, and within seconds you'll get an email with your gift certificate. 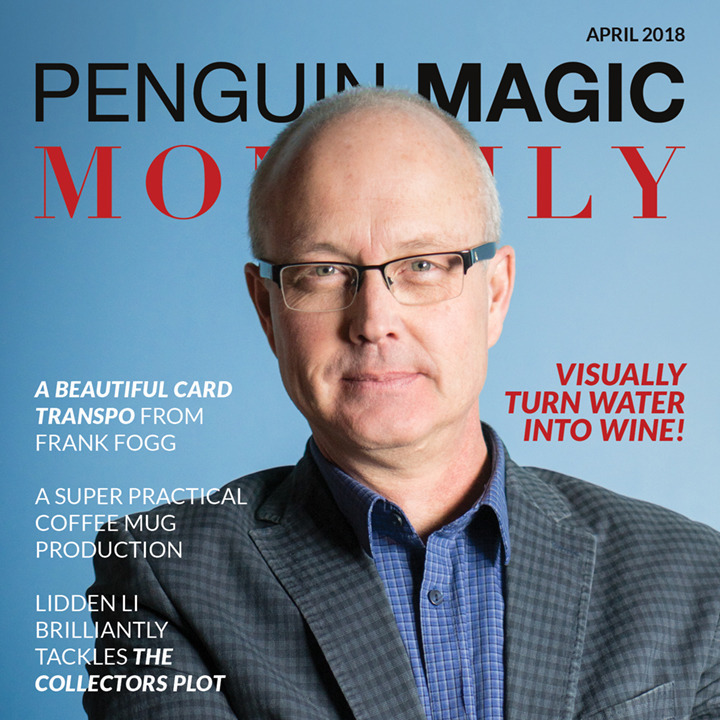 Don't forget to look your Penguin Magic Monthly. Sometimes there's a gem inside. This time it's on page 12. Suitable for an audience with several people, who can each write down predictions naming a card and a number (1 to 52). These are written on yellow sticky sheets and folded up so the prediction are hidden. I collect them in a gallon-size ziplock bag, have the bag shaken, and one prediction pulled from the bag. Removing a card from its box, a spectator deals down to the predicted number and finds the predicted card. Great change of pace from "usual" card effects! the TT trick..water to wine is AMAZING!!!! So great! Thanks guys! I love these little mags. Every one of them has various nice effects in it. If the effect isn't my type of thing, the ideas are there. I often read these mags before I even open the other items I've bought. Thanks Penguin. You are my magic store. 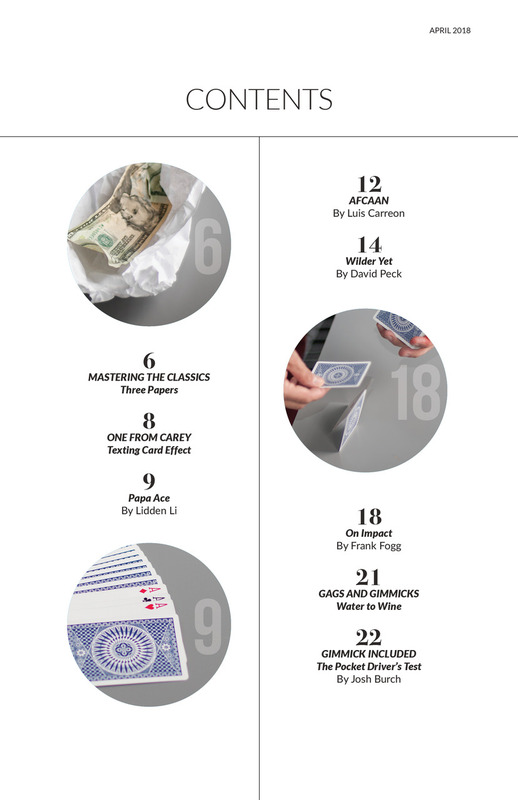 The Magazine touches on many great aspects of magic. Some good card effects, a mental and coin effect with a bonus carry in your wallet gimmick. The effects are explained well with illustrations and if you spend $50 at one time it is free. What's not to like. Very informative and good ideas in the booklet. Well design and compact to read anywhere.